Cognex 5410 with insight software. Please contact More Control if you would like a price for this product. You can email the sales team at sales@more-control.com or call them on 0345 0000 400. DM100 extension cable. Please contact More Control if you would like a price for this product. 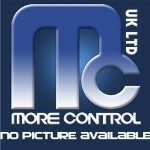 You can email the sales team at sales@more-control.com or call them on 0345 0000 400.